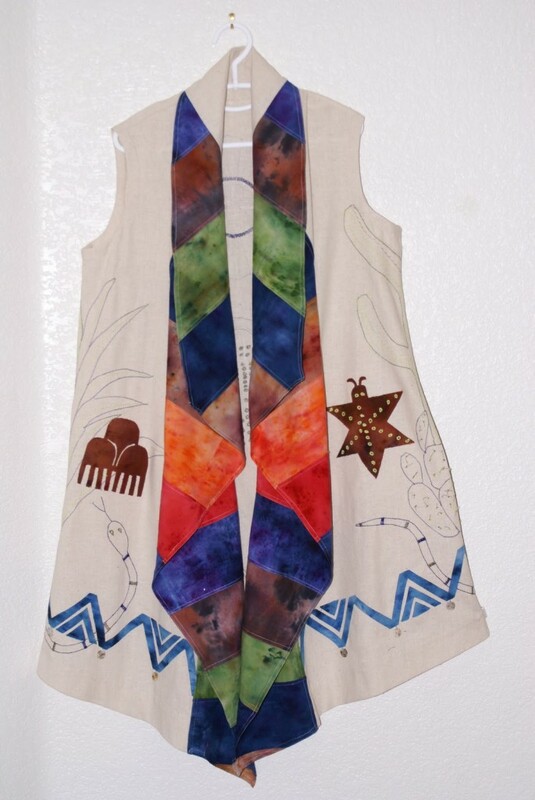 This vest, wearable art, was made in 2008 while spending the winter months in Phoenix AZ. This was our ‘test’ winter, the year prior to starting our extended RV travels. Our son moved to Phoenix in 2001 and we had traveled to the SW each year prior to this. In 2008 we alternated car travel throughout the state with time exploring the city of Phoenix. It was the year we truly fell in love with the Southwest. 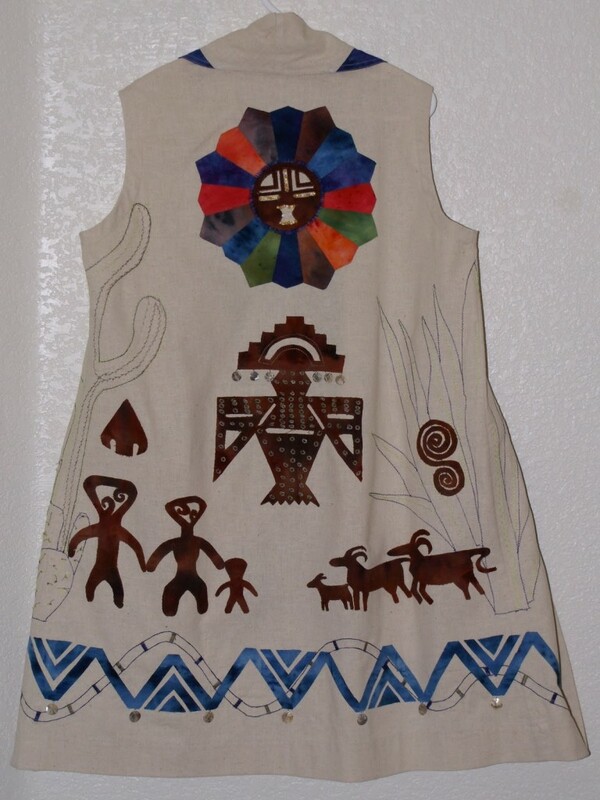 This vest was my attempt to capture the pleasure our travels were bringing me and was my response to a challenge sponsored by a member of my ArtWear group. It is made from Ossenburg fabric which I chose for the texture that reminded me of sand in the AZ deserts. The colored fabrics and thread used are hand dyed by the challenge sponsor. It was loosely based on a commercial pattern (details not available at the moment).